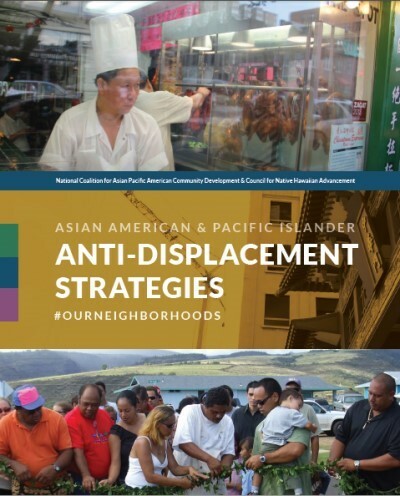 APALA honored the legacy and accomplishments of the Asian American and Pacific Islander (AAPI) community in the month of May to celebrate Asian Pacific American Heritage Month (APAHM). 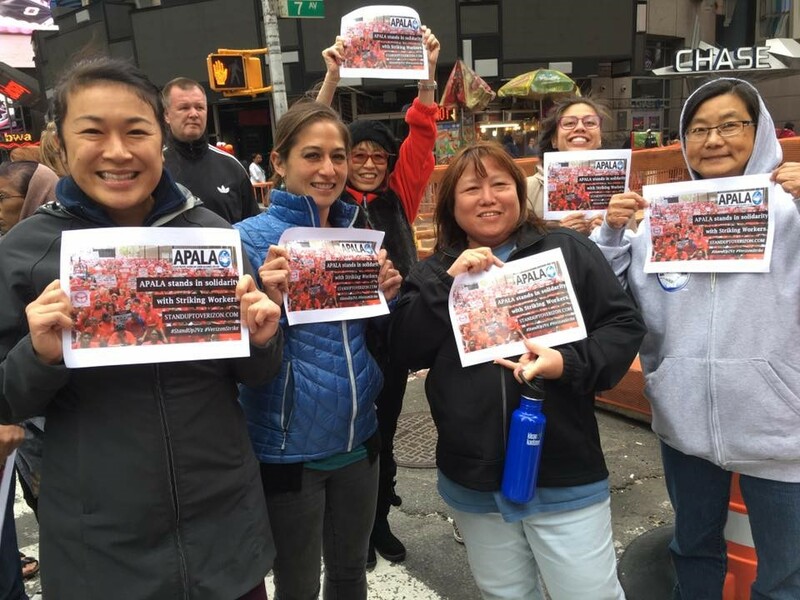 From hosting a series of community and labor receptions, marching in solidarity with CWA & IBEW Verizon striking workers, chapters hosting screenings of documentaries that highlight narratives of AAPI undocumented immigrants and DACA recipients, APALA uplifted the voices of our membership and allies during the 2016 APAHM. Additionally, I joined my union AFSCME in Washington, DC alongside President Lee Saunders for an APAHM celebration at our headquarters. It was an honor to join and be able to share more about the importance of engaging the AAPI community and other people of color, especially as we near this critical election. AFL-CIO Executive Vice President Tefere Gebre and I also penned this medium piece on the labor movement’s role in fighting for racial justice. In the month of June, we will continue celebrations with Pride and Immigrant Heritage Month. It is imperative to share the stories that uplift the different aspects of our identities, give us a better understanding of the commonalities we share and also reflect on the narratives of those who continue to struggle with a system that continues to criminalize our communities. Check out this toolkit and join us in celebrating Immigrant Heritage Month to lift up our country’s immigrant heritage fueled by diversity. 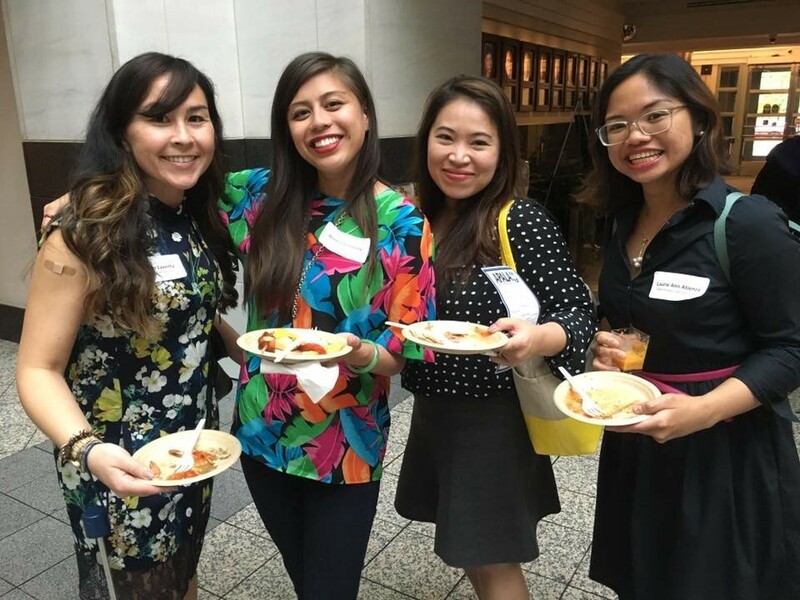 As part of our Asian Pacific American Heritage Month celebrations during May, APALA hosted a Community & Labor Reception in Washington, DC, the first in a series of events scheduled to happen throughout the country leading up to the upcoming election. The reception highlighted APALA’s recent work both on the local and national level, our focus on civic engagement particular for this year, as well as our strong partnerships with groups within and beyond the labor movement. The event also paid tribute to the APALA DC chapter for their continuous work to recruit, retain, and highlight the work of young leaders in the local labor movement. The reception was hosted at the National Education Association (NEA) headquarters, with APALA President Johanna Hester as master of ceremonies and APALA 2nd Vice President and California Faculty Association Vice President Kim Geron, provided welcoming remarks. Guest speakers included: Quyen Dinh, Executive Director of the Southeast Asian Resource Action Center (SEARAC) and current chair of the National Council of Asian Pacific Americans (NCAPA), Surjeet Ahwaluhia, Executive Director of Asian American Youth Leadership Empowerment and Development (AALEAD), Carlos Jimenez, Executive Director of the Washington Metro Council, AFL-CIO, and Alvina Yeh, Vice President of Membership for APALA DC. The next in APALA’s series of Community & Labor receptions took place on May 16 in New York city. 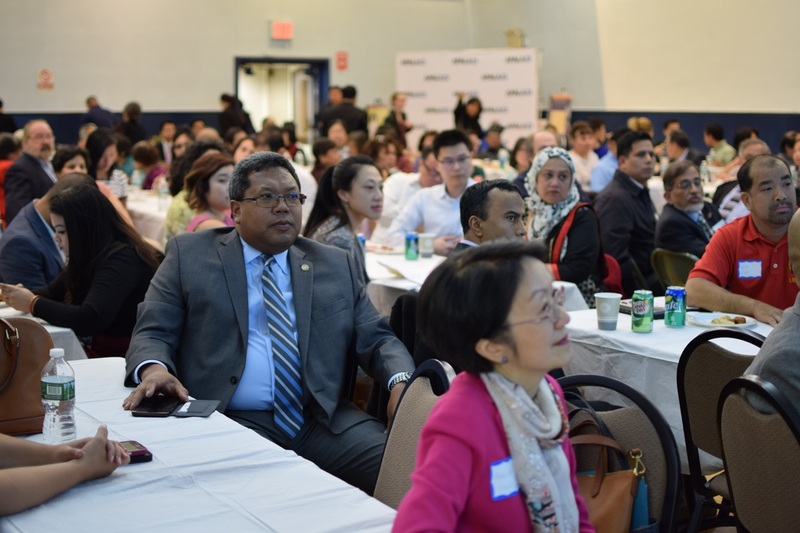 The event was hosted by UNITE-HERE Local 6/New York Hotel Trades Council, sponsored by IBEW Local 3, AFSCME District Council 37, and AFSCME Local 1407, and MC’ed by Steven Moy, president of the APALA New York chapter and IBEW Local 3 Member. The reception received overwhelming support from the local community with over 160 attendees, with guest speakers New York Councilmember Margaret Chin, Cathy Dang, Executive Director of CAAAV: Organizing Asian Communities, Fahd Ahmed, Executive Director of DRUM: South Asian Organizing Center, and Ron Spaulding, a CWA member and Verizon striker. Ron gave a heartfelt speech to a standing ovation of the importance of standing up for workers right against corporate greed, and shared the strikers’ frustration that even after 10 months of bargaining, Verizon still refuses to give the workers a fair contract despite their $39 billion in profits in the past three years. He also thanked APALA for giving not just him, but all of the current Verizon strikers a space to build with the Asian American and Pacific Islander community, and creating a bridge to connect the work of local organizations with the broader labor movement. 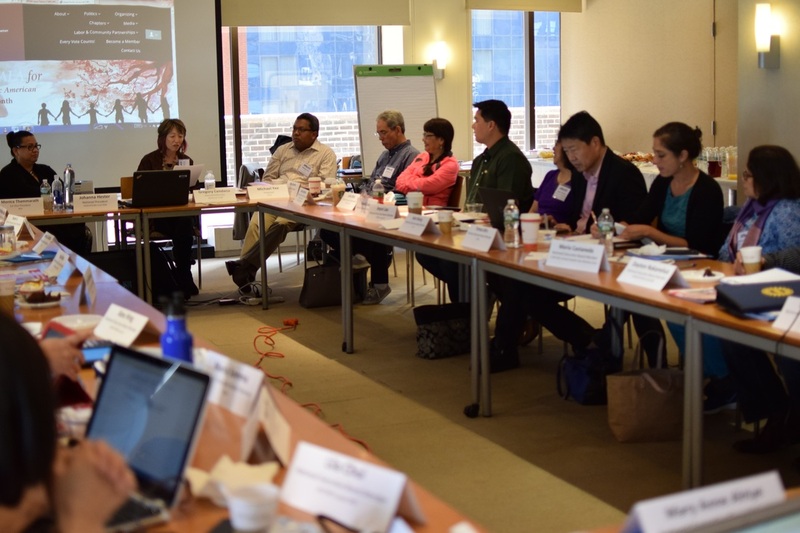 The APALA National Executive Board convened in New York City, New York from May 14-15 for ourl Spring board meeting. The event was graciously hosted by APALA National Board Member Maria Castaneda, Secretary-Treasurer of 1199 SEIU United Healthcare Worker East’s at their offices in Manhattan, and featured guest speakers Cathy Dang, Executive Director of CAAAV: Organizing Asian Communities, Deepa Iyer, author of We Too, Sing America and current Senior Fellow at the Center for Social Inclusion, and Linda Sarsour, Executive Director of the Arab American Association of New York. The 2-day meeting included more 30 National Board Members in attendance and reflected both the diversity and breath of APALA’s membership, with both seasoned union organizers as well as many up-and-coming and already established young leaders seated together at the table to discuss pertinent issues facing both the labor and the Asian American and Pacific Islander community. Topics of discussions included this year’s civic engagement programs, APALA’s firm support for the #BlackLivesMatter movement, the current state of Asian American and Pacific Islander union membership and APALA’s unique role in uniting labor and communities together including unions, worker centers and grassroots organisations through collective efforts to advance racial, economic and social justice. The meeting concluded with APALA board members marching at a Verizon picket line alongside members of CWA Local 2108 near Times Square to show our solidarity with all workers who are on strike across the nation, and to condemn Verizon for their insatiable corporate greed. 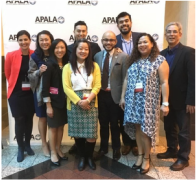 Hosted by the Coulter Foundation and Asian Americans Advancing Justice – Los Angeles, APALA joined over 700 AAPIs at the 2016 Advancing Justice Conference on March 30-31 in Los Angeles, CA. APALA leaders lead a workshop on partnering with unions and worker centers to build power for working families. Participants learned from seasoned APALA organizers who shared case studies and examples of how labor and community partnerships help advance racial justice, community organizing, and civic engagement. APALA also hosted a caucus for our members who attended the conference and partnered with ASPIRE-Los Angeles for an evening of fellowship. 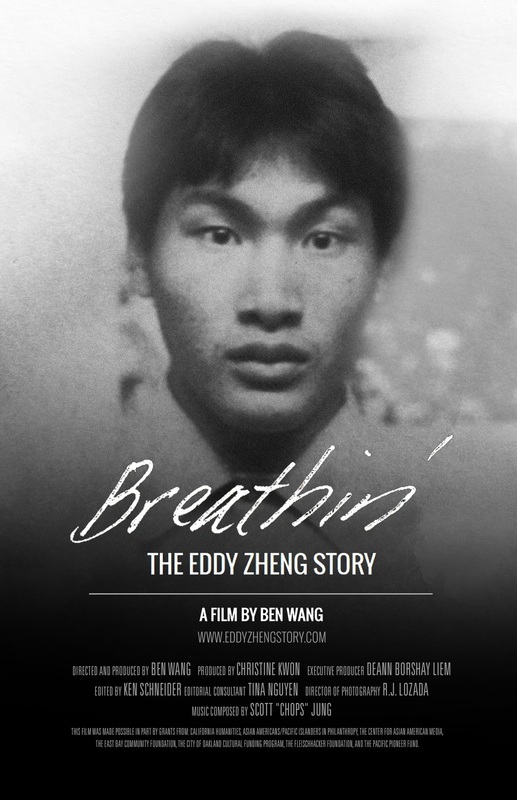 In collaboration with the AFL-CIO and Coalition of Black Trade Unionists, APALA co-hosted the first DC screening of Breathin’: The Eddy Zheng Story at the AFL-CIO Headquarters. After serving 20 years in California prisons and jails, the documentary paints an intimate portrait of Eddy – the prisoner, the immigrant, the son, the activist – on his journey to freedom, rehabilitation and redemption. 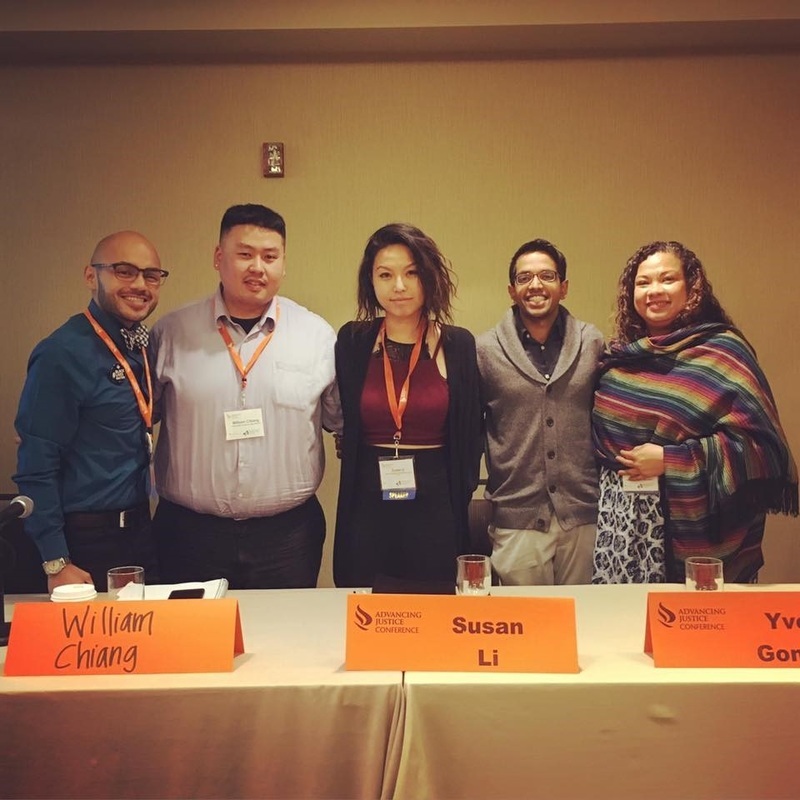 Eddy continues to be a nationally recognized leader advocating and organizing around issues of prison reform and youth violence prevention as the Co-Chair of the Asian Prisoner Support Committee and we are proud to continue our work with him through the AAPIs Beyond Bars coalition. Click HERE for more information about the documentary and to find upcoming screenings. ​The Immigrant Rights Project of Asian Americans Advancing Justice-LA is conducting a survey to better understand the immigration priorities of the AAPI community to help guide immigration policy work on the federal level. Click HERE to fill out the survey and if you have any questions, please reach out to Immigrant Rights Policy Advocate, Anthony Ng at ang@advancingjustice-la.org. 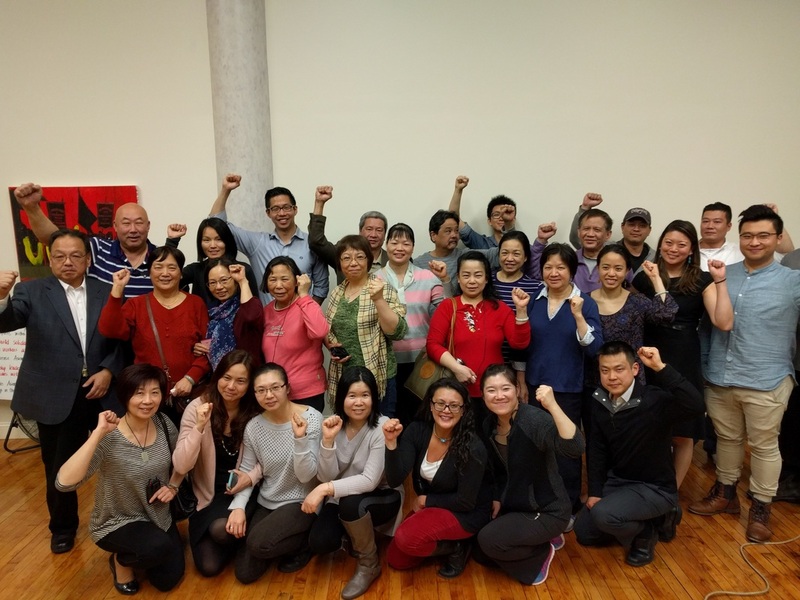 ​APALA Massachusetts leaders welcomed new members and community activist to learn more about AAPI worker organizing efforts in the Boston region at their first general membership meeting at UNITE HERE Local 26. 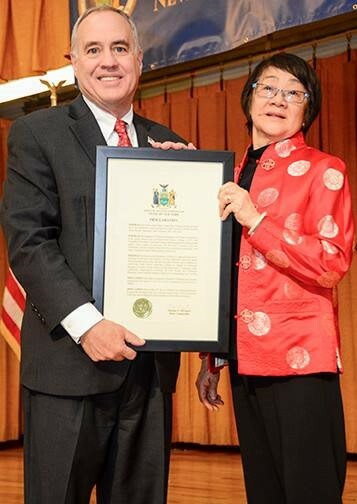 APALA National Executive Board Member and APALA New York Chapter leader Lila Chui was honored by New York State Comptroller Thomas P. DiNapoli at P.S. 124 Yung Wing in Manhattan for her service and dedication to advancing worker’s rights in New York. 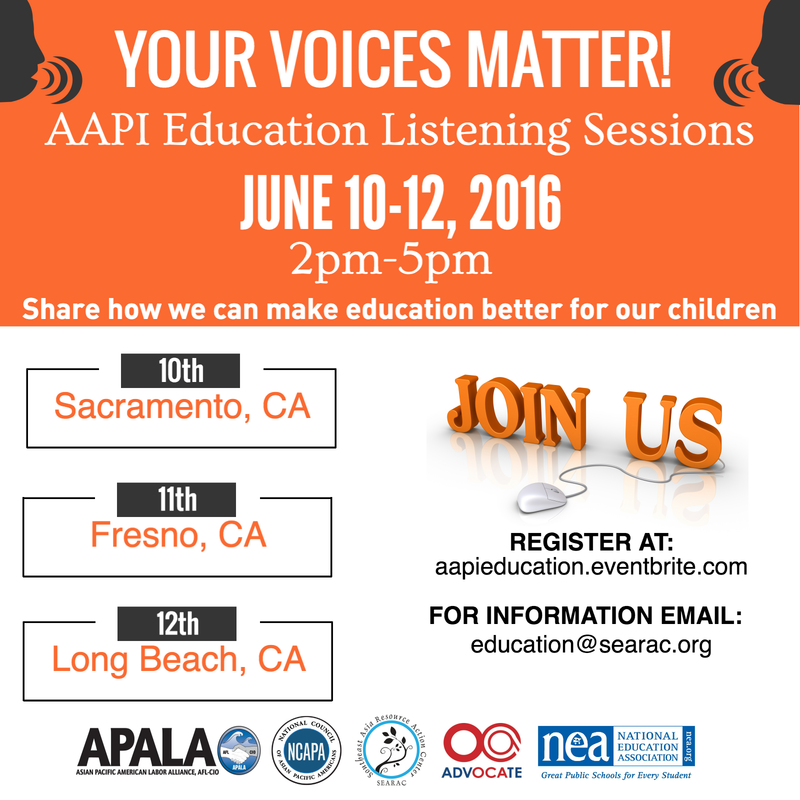 As part of a three-city AAPI Education Listening Session collaboratively organized by 5 organizations to explore the impact of the Every Students Succeed Act (ESSA) in our communities, the APALA Sacramento Chapter is helping support an AAPI Education Listening Session in Sacramento, CA on June 12 at 2:00 PM. 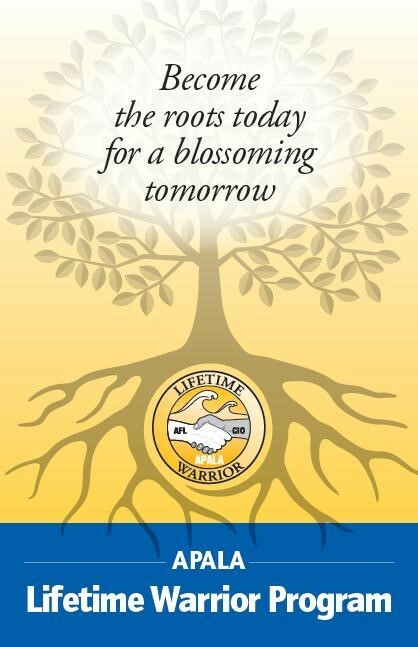 The listening session aims to share information about ESSA and its relevance to children, provide feedback and concerns about K-12 Education, and gather input from key stakeholders on best practices while engaging with our communities. Click HERE to find RSVP and find a listening session near you. APALA San Diego and the Asian American Pacific Islander Progressive Alliance (AAPIPA) hosted a National AAPI DACA Film Screening in San Diego at the UDW Headquarters on May 24, 2016 to celebrate Asian Pacific American Heritage Month. The screening two documentaries (Dream Riders Across America and Halmoni) that presented personal stories of undocumented immigrants and DACA recipients. ​​APALA San Francisco hosted their annual Asian Pacific American Heritage Month celebration on Friday 5/27 at SEIU Local 1021. 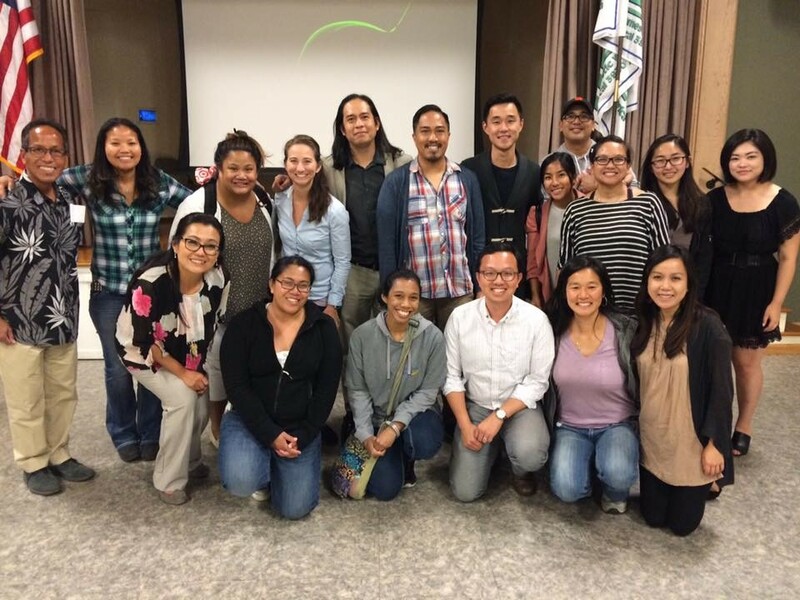 Chapter members and allies came together to observe and recognize the gains of AAPI workers in San Francisco. 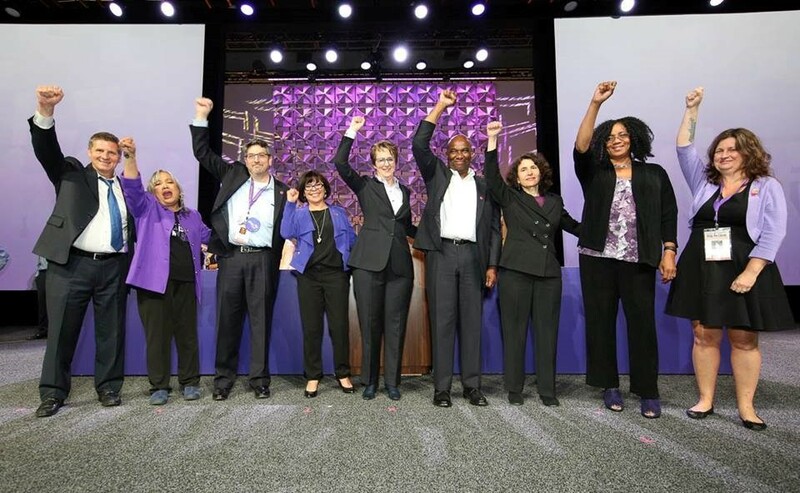 APALA Founding Member and National Executive Board Member, Luisa Blue, became the first AAPI to be elected to serve as an International Vice President for the Service Employees International Union (SEIU) at their quadrennial convention in Detroit, MI on May 22. 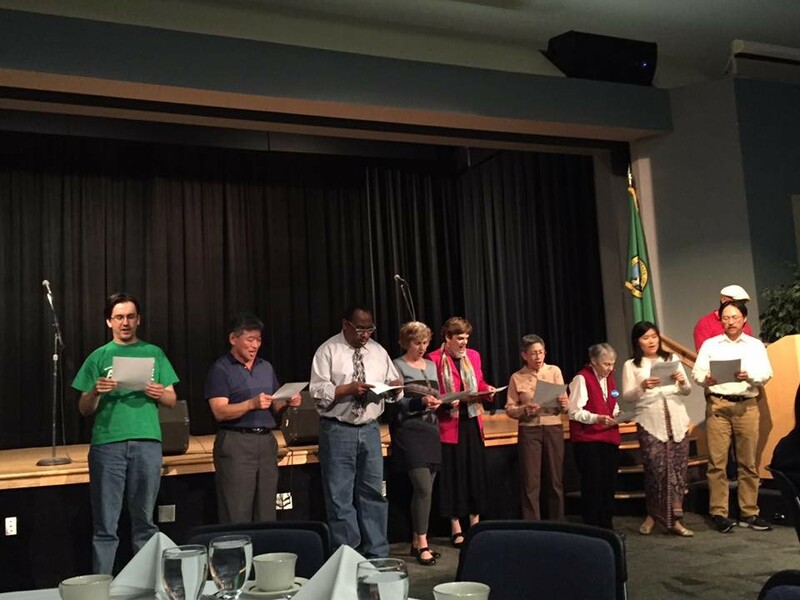 APALA Seattle held their annual fundraising banquet at South Seattle Community College on April 23. Joined by chapter members, elected officials and community allies alike, dozens of activists gathered to support the chapter’s commitment to social justice and workers’ rights. APALA Seattle also took part in the labor delegation to the Washington Corrections Center for Women organized by Free America and AFL-CIO. ​APALA DC stood in solidarity and picketed alongside Verizon CWA and IBEW workers who were on strike for a fair contract since April 13th. Verizon workers were in jeopardy of losing jobs oversees and cutting healthcare for retirees despite the company accumulating $1.5 billion profits per month. APALA DC members picketed every Saturday at the Verizon Wireless Store by Metro Center and other actions across the country proved to be a huge success as Verizon Workers reportedly reached an agreement on May 27th. ​The APALA National Office will undergo a period of change during the month of June as a new staff is added to the team while a current staff steps down and will be succeeded by another new staff. Marian Manapsal, the brand-new Communications and Development Coordinator will join the DC office on June 13th, while Kenneth Gonzales, the new Executive Assistant, will join the team on June 9th. Minh-Thuc Phung will be stepping down from her role as the current Executive Assistant on June 30th. 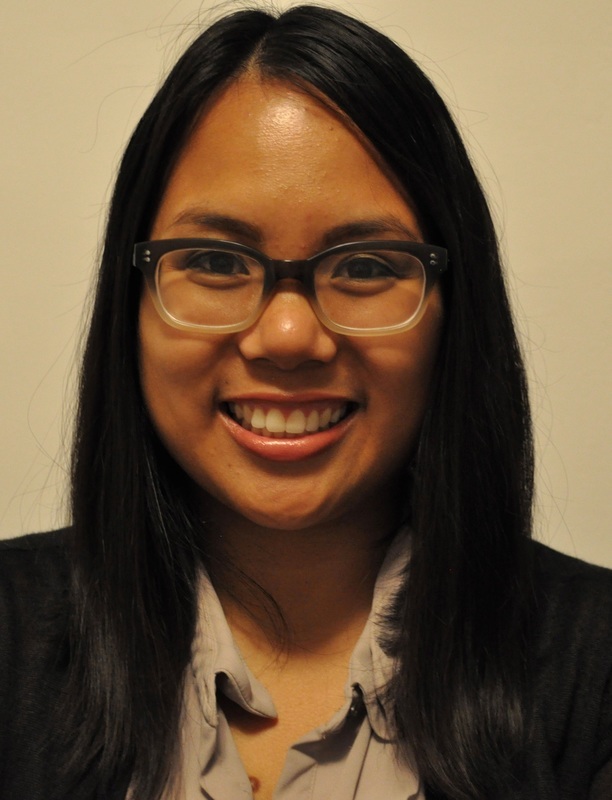 As APALA's newest staff member working on communications and development, Marian Manapsal is excited to bridge her growing interest in workers' rights with advocacy efforts for the Asian Pacific American community. Prior to joining APALA, she was previously the Development Assistant at the International Labor Rights Forum, a human rights NGO strengthening workers' rights in global supply chains. Before moving to Washington, DC, Marian worked as a political fundraising staffer for electoral campaigns in Massachusetts on the national, state, and local levels. She has been a longtime supporter of Asian Pacific American causes - from leading her university's Filipino-American student organization during her undergraduate career to serving on the boards of the Asian American Resource Workshop and the Asian American Women's Political Initiative (AAWPI). In 2013, Marian was a State House Fellow herself with the same program - an experience which opened her eyes to the importance of building a pipeline for Asian American leaders to drive policy and political change. Marian is a graduate of the Carroll School of Management at Boston College, and she hails from the San Francisco Bay Area. Kenneth is a proud Queer, Undocumented, Asian immigrant and is a recent alumnus of the University of Minnesota - Twin Cities with a Bachelor of Arts in African American & African Studies, Asian American Studies, and English. Through his Undergraduate experience, Kenneth built a nuanced understanding of coalition building, grassroots organizing, and the importance of diversity in its various forms. 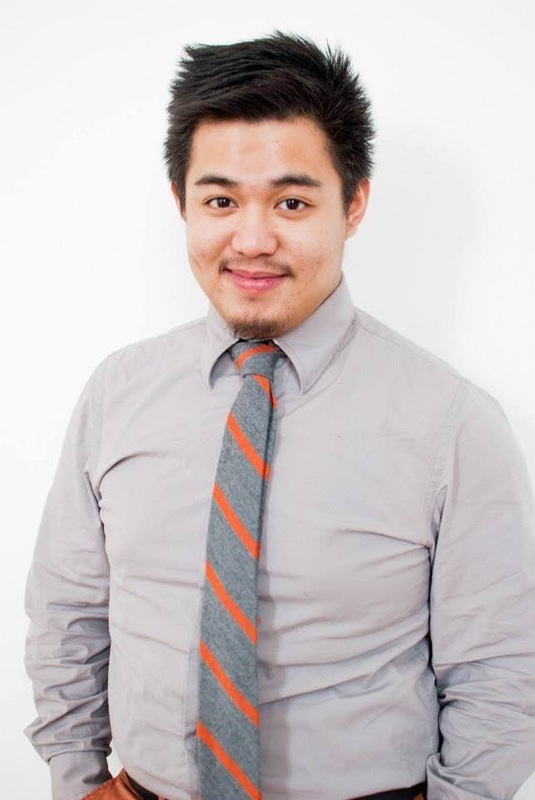 He was involved with the Midwest Asian American Students Union (MAASU), is an E3! 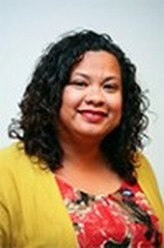 Ambassador for the White House Initiative in Asian American and Pacific Islanders (WHIAAPI), was instrumental in pushing the University of Minnesota administration to become an Asian American and Native American Pacific Islander Serving Institution (AANAPISI), and has been featured as a Tedx Speaker at Roosevelt University and the University of Illinois - Chicago. Kenneth is extremely grateful to be starting his career with the Asian Pacific American Labor Alliance (APALA) and is excited to further advance the fight for worker, immigrant, and civil rights. ﻿​This transition is bittersweet for both the National office as well as for Minh, who has been an integral part of the organization since May 2014. We are sad to see Minh leave but are confident that she will never be too far away from the APALA family. Please feel free to reach out to Minh with any questions or comments at mphung@apalanet.org from now until June 30th, 2016.